Sunscreen is used to prevent damage to your skin caused by the sun. Sunscreen has two main parts - the active ingredient, and the emulsion. Active ingredients work to protect your skin, and come in two categories which are UV absorbers and UV reflectors. UV absorbers convert UV rays into very low heat, and absorb them before they get into your skin. UV reflectors (or blockers) create a barrier on your skin and reflects the UV rays away. These “reflectors” are mostly made up of oxides, e.g. zinc oxide. There are normally one to six active ingredients to filter out the sun in most sunscreens. 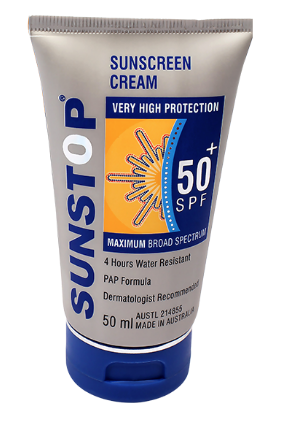 We recommend Sunstop SPF50+ as it contains seven. The emulsion part of the sunscreen is the cream or gel etc. that carries the active ingredients. Sunstop SPF50+ filters 99.9% of UVB rays, making it extremely effective in comparison to other sunscreens. As per Australian TGA guidelines, the maximum SPF any sunscreen can claim is 50+. 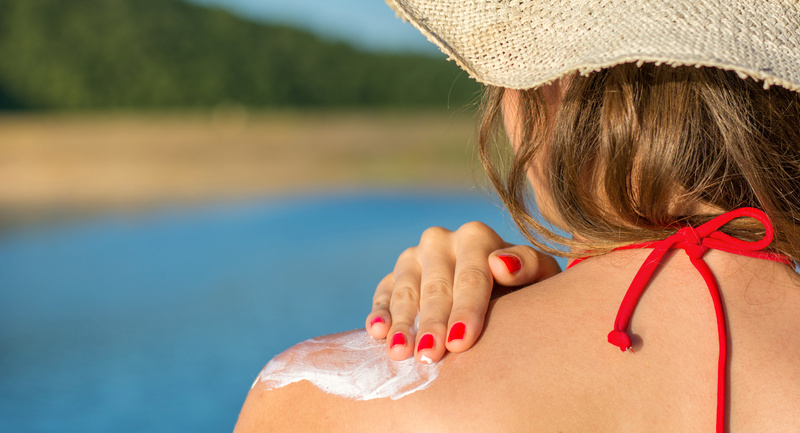 This is to prevent confusion as products could claim SPF100+, for example, and consumers would assume that made the products significantly better than a product claiming SP 30+ or 50+. So how do you pick the best sunscreen for you? You should be ensuring your sunscreen specifically contains zinc oxide. This is one of the main active ingredients used in sunscreens, and blocks both UVA and UVB rays, providing broad-spectrum protection. Surprisingly, not all sunscreens offer this level of protection. Zinc oxide is also very safe for your skin, as its particles won’t be absorbed into your skin. You can read a little more about zinc oxide in sunscreen here. It’s compatible for all skin types – it’s a skin protectant, so it will very rarely cause irritation to your skin, even if you have extremely sensitive skin. It is also non-comedogenic, meaning it won’t cause acne or breakouts. This makes zinc oxide perfect for everyone over the age of 6 months old. You might have sensitive skin, acne prone skin or even rosacea, and you will actually benefit from the anti-inflammatory properties of zinc oxide. It also helps to block visible and infrared light, so if you have pigmentary problems, this is the perfect ingredient for you to ensure your sunscreen is containing. Make sure you are properly protecting your skin from the sun, and ensure your sunscreen contains zinc oxide if you want all the benefits of a great sunscreen like Sunstop SPF50+.